Recent talk of the all people is obviously new Android L operating System and there features, specifications and more, apart from this, now all the people worrying about which mobiles will see the next version of the Android. This worry is due to the swirling news about the Android L over the internet such as the battery saver mode, easy user interface when compared to the Kitkat and more. So stop worrying, let’s read this review and know which mobile will see the next update of android. • Google Nexus 5 will get the update of the Android L, but the sexiest and modern mobile Nexus 4 will not get any update on Android L.
• If you consider the Google tablets expect the Nexus 7 2013 and the LG G Pad Google Play edition to see an update and the 2012 tablets will not going to get any L update, it sounds sad for those users. • Now HTC mobile all the mobile of HTC will get the Android update which is released after HTC One M7 and the mobiles released before HTC One M7 will not get Android L update. • In LG, LG G3 will get the update but G2 and G Flex or the Optimus Pro 2 or lovely little G2 will never see the Android L update. • In Motorola, Moto X, the Moto G and the Moto E will see Android L, remaining will never get the updates. • Galaxy S5 and Galaxy Note 3 will get the Android L update as fast as Samsung is able to update them and the Galaxy S4 will update Android L later. • Android L updates for the Sony mobiles such as the Xperia Z1, Xperia Z2 and the upcoming Xperia Z3. 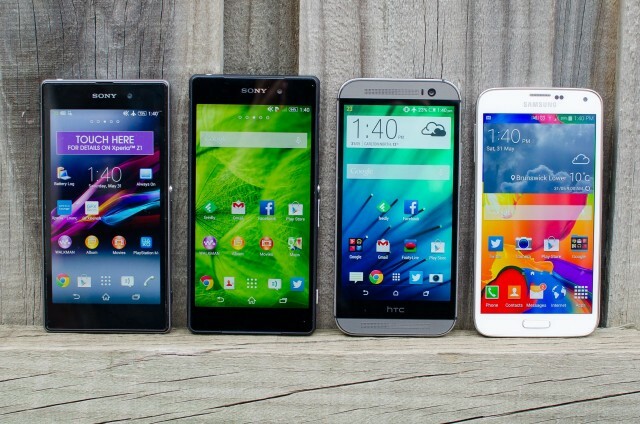 These are the mobiles going to get the update on Android L.